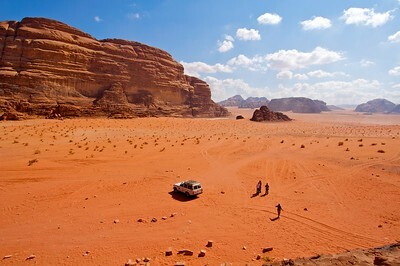 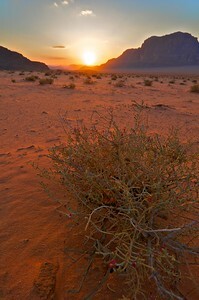 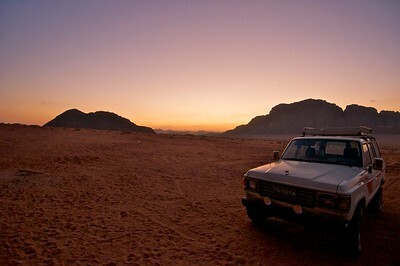 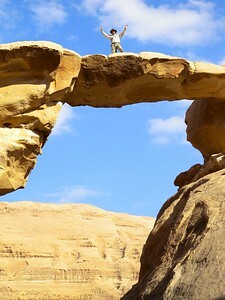 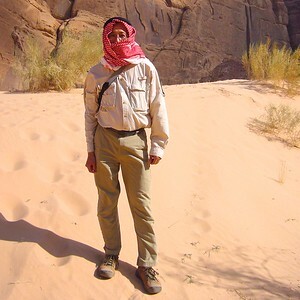 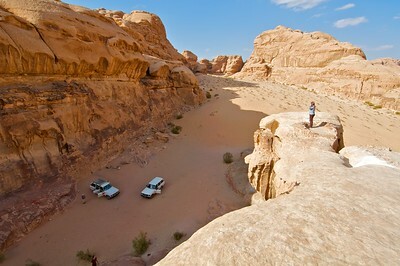 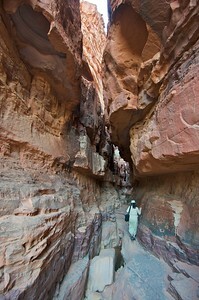 Located in Southern Jordan, the Wadi Rum desert offers visitors spectacular views and a unique experience camping in the desert. 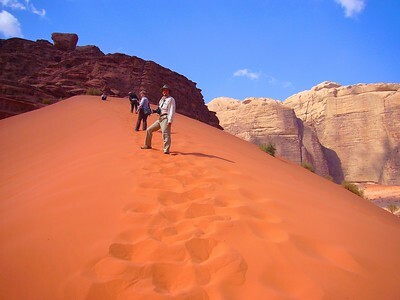 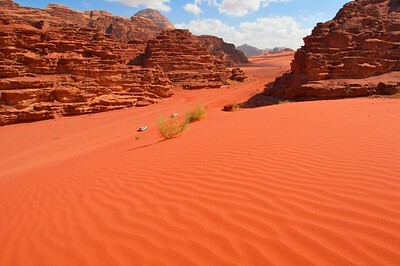 Red sand dunes in the Wadi Rum desert. 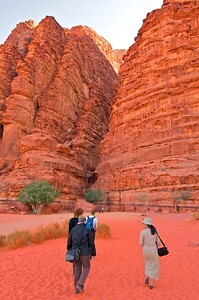 The photo just can't capture the intensity of the colors. 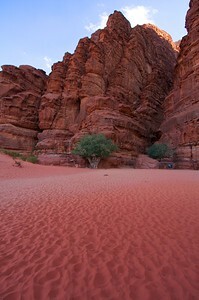 As the sun went behind the cliffs, the colors became more muted.